The 2017 U.S. Family Travel Survey conducted by NYU found that of those parents who have paid vacation days through their employers, only 46% used their full allotment. We ask, what are you waiting for? Your children are not getting any younger! One day sooner than you think, you’ll find yourself saying goodbye as they move out of your house. You’ll be left with just your memories - hopefully, some really good family vacation memories. We’ve compiled a list of places that are particularly good bets for 2018. Why? Well, some locations are holding special celebrations that you and your family can partake in. Other destinations make our list because they’ll be a particularly good value in the coming year. And some make our list because they’re at risk of never being the same. Bottom line, even if you don’t make it to one of these 10 spots, we hope you and your family make it somewhere. We’ll see you on the road or in the skies! If you’re looking for a deal in 2018, we recommend heading to the Caribbean. Yes, several islands - including Anguilla, Puerto Rico, and U.S. Virgin Islands - were severely impacted by hurricanes Irma, José, and Maria. But as these islands recover and resorts reopen, look for deep discounts to be offered as incentives for returning tourists. In the meantime, the majority of the Caribbean was unaffected and is open for business. But these islands, too, are being forced to offer heavily discounted pricing to entice tourists back. We think these Caribbean destinations are all good choices: Aruba, Barbados, Bonaire, Curaçao, Grand Cayman, Grenada, Jamaica, Martinique, St. Kitts and Nevis, St. Lucia, St. Vincent and the Grenadines, plus Cancun and Belize. If you haven’t visited Glacier National Park, nicknamed the “Crown of the Continent,” you should feel some urgency. By 2030, scientists predict all of the remaining glaciers here will disappear. So now’s the time to head to Montana and drink in this park’s tremendous beauty. As of this writing, it’s unknown whether fees to some of our most popular national parks will increase. The current proposal would push fees up during peak visitation periods to $70 per private, noncommercial vehicle, $50 per motorcycle, and $30 per person on bike or foot. The proposed fee structure would be implemented at Arches, Bryce Canyon, Canyonlands, Denali, Glacier, Grand Canyon, Grand Teton, Kings Canyon, Olympic, Sequoia, Yellowstone, Yosemite, and Zion National Parks with peak season starting on May 1, 2018; in Acadia, Mount Rainier, Rocky Mountain, and Shenandoah National Parks with peak season starting on June 1, 2018; and in Joshua Tree National Park as soon as practicable in 2018. 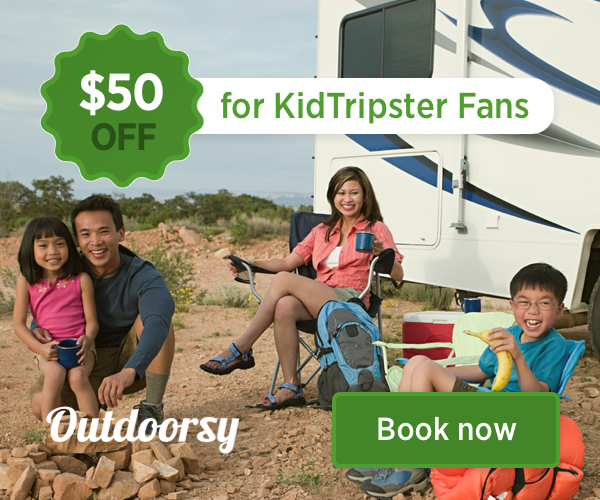 Regardless of the possible new fee, we at KidTripster love our national parks and encourage every family to explore as many as possible. Click here for road-tested, family itineraries. On December 4, 2017, President Donald Trump shrunk two of Utah’s national monuments - Bears Ears and Grand Staircase-Escalante - making clear that previously-protected areas of our country are not off-limits. We have found many national monuments to be just as impressive and worthy of visiting as their more well-known cousins, the national parks. That’s why we’re encouraging you to share our national monuments with your family while you can. Our favorites: Craters of the Moon in Idaho, John Day Fossil Beds in Oregon, Mount St. Helens in Washington, and Natural Bridges in Utah. Click here for our family guides to these monuments. While New Orleans - or N’awlins, as we like to say - has a well-deserved reputation as an adult playground, families will find themselves welcomed here, too. Maybe you skip Mardi Gras, but there’s plenty of other, more-PG revelry to enjoy, especially this year. 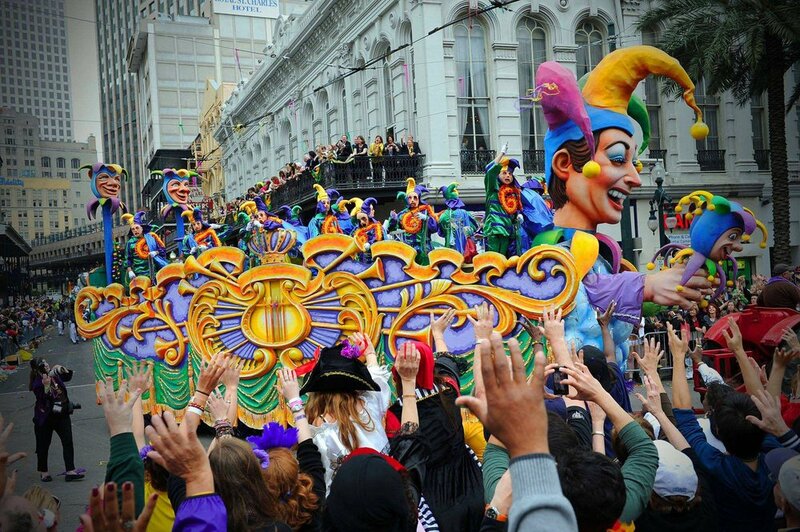 New Orleans is marking it’s 300th birthday with lively parades, festivals, and celebrations all yearlong. Plus there’s plenty of mainstays like the much-lauded National WWII Museum, Audubon Zoo, Audubon Aquarium of the Americas, Audubon Butterfly Garden and Insectarium, Louisiana Children’s Museum, and City Park with Carousel Gardens Amusement Park and Storyland. Add in swamps tours, ghost tours, plantation tours, and a specially-designed French Quarter tours for kids, and it’s the jambalaya of family fun. For a sample 3-day itinerary just for families, click here. KidTripster Tip: Even if you don’t visit during Mardi Gras, the kids can watch parade floats being built by local artists and craftsmen at Blaine Kern's Mardi Gras World. Speaking of birthdays, San Antonio, too, is celebrating 300 years in 2018. 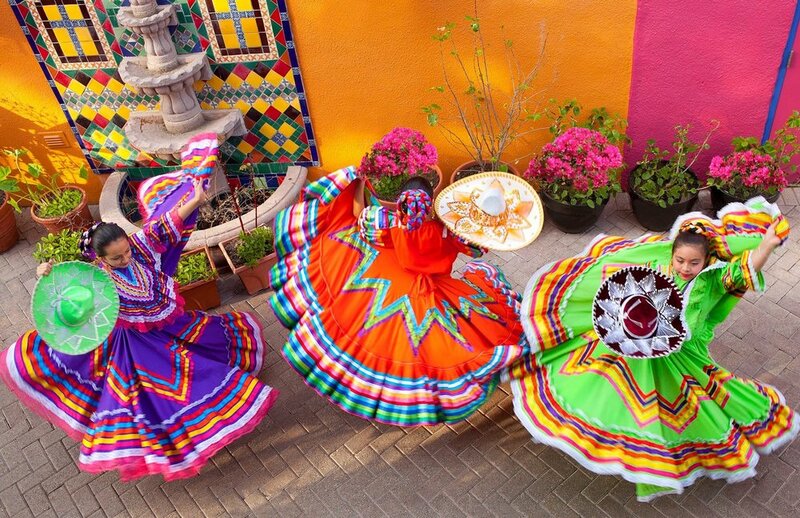 Like New Orleans, San Antonio a collection of different cultures that know how to throw a fiesta! Visit the Alamo, stroll the Riverwalk, and eat some of the best Tex-Mex food anywhere. UNESCO even awarded this foodie town with a Creative City of Gastronomy distinction. And there are plenty of thrills nearby for the kids: SeaWorld San Antonio, Six Flags Fiesta Texas, Schlitterbahn Waterpark and Resort, Splashtown San Antonio, and Morgan’s Inspiration Island. KidTripster Tip: The Texas summer can be pretty oppressive. San Antonio enjoys more pleasant weather from October to April. You may want to plan your visit for the annual Día de los Muertos, or Day of the Dead, festival in late October. Simply put, the Great Barrier Reef, one of the world’s natural wonders off the coast of Australia, is at great risk. In 2016 and 2017, the 1,500-mile reef suffered from unprecedented, back-to-back bleachings. Scientists blame a rise in ocean temperatures linked to global warming, pollution, and overfishing. While the coral doesn’t die immediately, the bleachings have been intense enough to kill parts of the reef, mainly in the north and central sections. Recovery could take a decade or more. So our suggestion to go to the Great Barrier Reef - where we’ve previously experienced the best snorkeling of anywhere on the planet - is an urgent one. 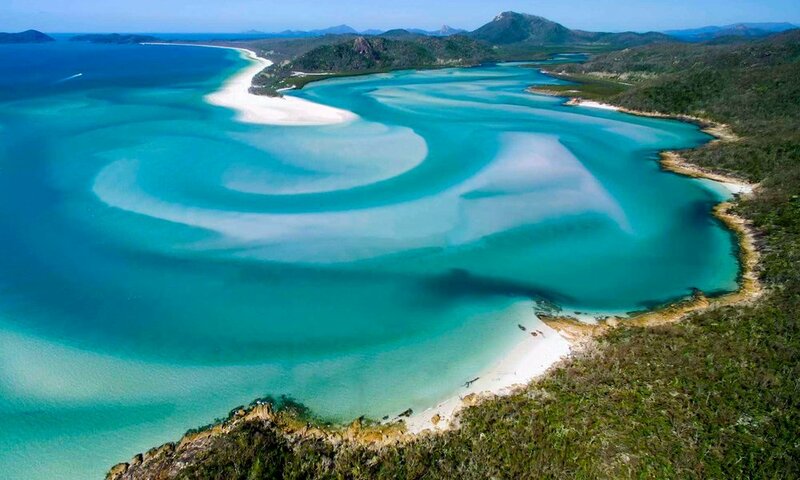 In the past, we would have pointed you to Cairns or Port Douglas, but instead go south to the Whitsunday Islands, where you’ll find several island resorts that cater to families - Hamilton, Dunk, Hayman, and Daydream (set to reopen mid-2018 after renovation) to name a few. Or maybe you want to sail the islands with a company like Sunsail. So far, the Whitsundays have been the least impacted. But we wouldn’t wait, if we were you. As as long as you’re going all the way to Australia, consider taking in more of the country - Sydney, Brisbane, and the Outback - for starters. KidTripster Tip: If you’re planning a trip to the reef, don’t go from October to May. That’s stinger season, when deadly jellyfish are prevalent. With the longest coastline in the continental USA, Michigan has alway attracted water lovers. In particular, northern Michigan is an outdoor paradise. Fly into Traverse City where you can take a day trip to Sleeping Bear Dunes and five different lighthouses. Traverse City is also home to wineries and craft distilleries offering samples of Michigan-made vodkas, whiskeys, and brandies. And cherries! You’ll find every conceivable cherry product in Traverse City. Then head north over the Mackinac Bridge and catch a ferry to enchanting Mackinac Island for a few days. With no cars allowed, visitors rely on horse-drawn carriages, bikes or good ‘ole hoofing it to get around. With all that walking, you’ll earn some of the world-famous Mackinac Island fudge. Don’t miss Fort Mackinac and the largest porch in the world at the Grand Hotel. KidTripster Tip: One of the most beautiful lakes in the world is just outside Traverse City. It’s called Torch Lake. Michiganders-in-the-know rent cottages here for a fun week of boating, swimming, and fishing. Shhh, keep it to yourself. Oh, how we love Ireland for families. This year, some of its stunning scenery will be showcased in the movie Star Wars: The Last Jedi, no doubtably enticing additional tourists to the Emerald Isle. (Harry Potter fans have already been making a pilgrimage to the Cliffs of Moher, featured in Harry Potter and the Half-Blood Prince, for years.) But don’t miss the real reason to go to Ireland - the Irish themselves, who are friendly, generous, and good-humored. We recommend skipping the big cities and heading to the countryside, where you can share a pint with them at a kid-welcoming, local pub. We adore the villages of Dungarvan and Dingle. And plan to spend a few days in a genuine castle, like Waterford. We highly recommend the falconry experience for families. KidTripster Tip: Before deciding to drive yourself in Ireland, read here. Last year, Canada made nearly every must-visit list because the country was celebrating it’s 150th birthday. No, we’re not late to the party, but we’re putting Canada on our list this year precisely because not every tourist will be headed here! You’ll still benefit from all the sesquicentennial sprucing-up that was done. Attractions that were added, like the Aura light show at the Notre-Dame Basilica in historic old Montreal, can still be seen. Banff National Park and her stunning, aquamarine waters ringed by snow-capped mountains haven’t gone anywhere. And Americans will still find a favorable exchange rate, making a Canadian vacation more affordable. Plus, Le Boat is coming to Canada! Le Boat offers families the opportunity to pilot their own yacht on typically one- to two-week-long vacations. We’ve previously featured Le Boat’s itinerary along the Canal du Midi in southern France. But in May 2018, Le Boat begins charters along the Rideau Canal in Ontario, offering a new way to see our neighbor to the north. Antarctica?! Yes, we hear your skepticism. And while you likely won’t make it to the White Continent in 2018, you may want to consider saving for this ultimate bucket lister. While opportunities to see this last frontier have grown, fewer than 37,000 tourists step foot on the continent during its very short tourist season from December through February. But in 2018, Kidtripster will be among them. That’s right, you can follow us to Antarctica as we review the fly-and-cruise option offered by Antarctica XXI, allowing you to fly to Antarctica where you then board a 72-passenger ship, thereby avoiding the often-queasy trip across the Drake Passage. Penguins, whales, and icebergs - we’re eager to share the adventure with you. If you travel to one of our Top 10 Destinations in 2018, be sure to tag #kidtripster on social media. Editor Shellie Bailey-Shah would love to feature your photos!